EXCLUSIVE! The ease of a wrap, the extra warmth and added style of a hood. 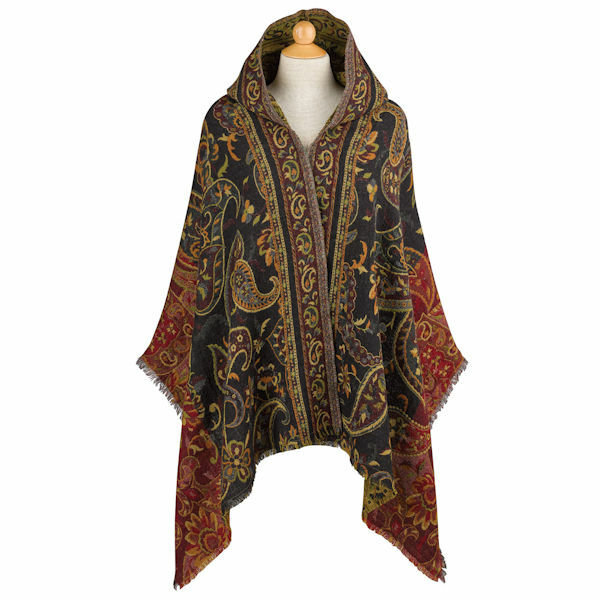 All in a gorgeous paisley woven in deep, rich hues. Versatile and cozy in 100% wool. 77" long; hangs 28". Dry-clean. Imported.